(...) It is a masterly touch to round off Carneiro's dazzling performance. (...) a formidable reading of these major works (...) extremely precious for its quality of interpretation. Marimba player Pedro Carneiro, who performed as a soloist (...) appeared to be a superman from another galaxy. Pedro Carneiro was born in the southern bank of Lisbon in 1975. The son of the principal trumpeter of the Radio Symphony Orchestra and an amateur actress, Pedro was brought up around concerts, rehearsals and performances. He started learning piano as a small child, but quickly switched to cello and trumpet. As a hyperactive child he was seduced by percussion: the wealth of sounds, timbres, instruments and sonic invention - and has always been immersed in music, also composing and conducting. Carneiro entered the percussion class at the National Conservatoire in Lisbon when he was 12. He moved to London on a scholarship from the Gulbenkian Foundation and studied percussion with David Corkhill and conducting with Alan Hazeldine, at the Guidhall School of Music and Drama. Later on, he studied conducting with Emilio Pomàrico at the Scuola Civica in Milan. 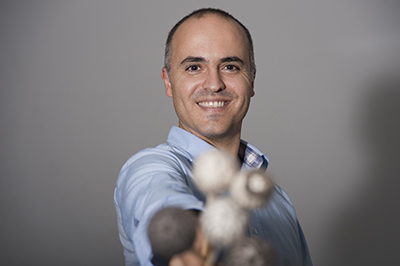 Today, Pedro Carneiro is acclaimed internationally as one of the world's foremost solo classical percussionists and increasingly active as a conductor and composer. Pedro's virtuosity, passion, explosive energy and emotional spontaneity have inspired several of today's leading composers to write works specially for him. He has performed the world première of over 100 new works and collaborates regularly with a wide range of acclaimed musicians. An enthusiastic chamber musician, Carneiro has commissioned, performed and recorded over a dozen new quintets for marimba and string quartet, in the company of the Tokyo, Arditti, Shanghai, Latinoamericano, New Zealand and Chilingirian string quartets. Deeply committed to the musical development of his home country and fostering the work of fellow young musicians, he co-founded the Portuguese Chamber Orchestra in 2007, which he serves as artistic director and chief conductor. In a very short period of time, the Portuguese Chamber Orchestra - an exciting group of some of the nation’s top young professional musicians - has become the “Orchestra in Residence” at the Centro Cultural de Belém (Lisbon), performing their own concert series to sell-out audiences as well as touring nationally and internationally to impressive critical acclaim. Pedro Carneiro lives in Lisbon with his wife Teresa Simas (dancer, choreographer and arts manager) and their two gorgeous little daughters: Carolina and Inês.